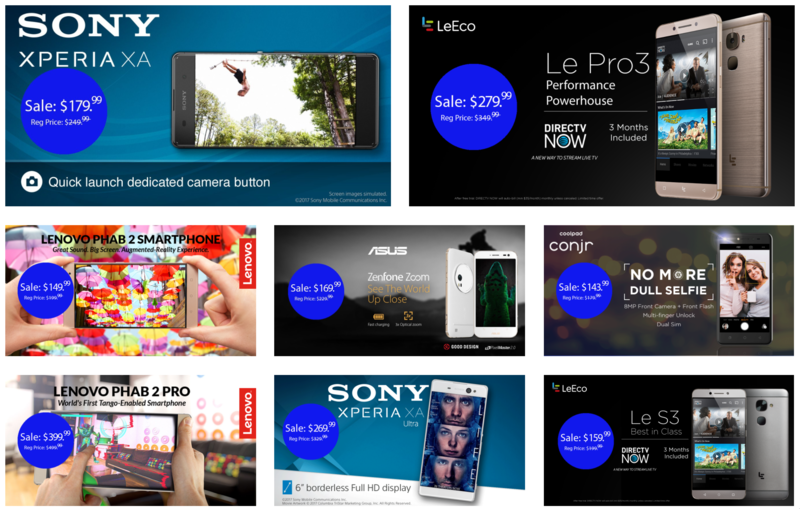 Memorial Day weekend is nigh upon us, so seeing some sales pop up is not surprising. Tonight, we have one courtesy of B&H. 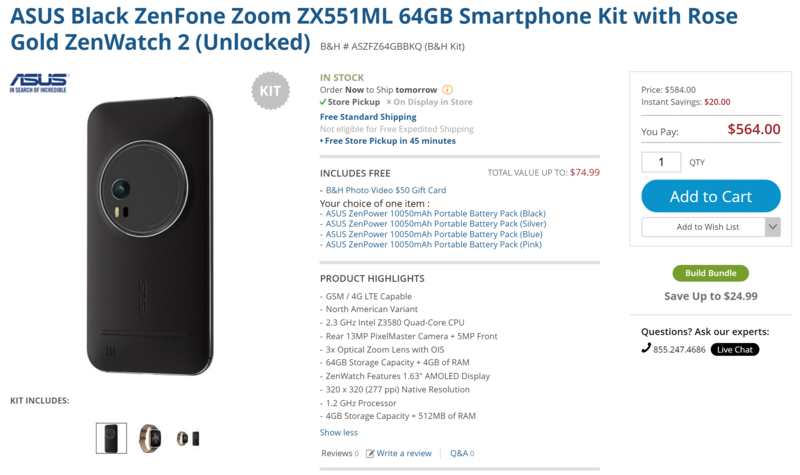 You can get an Asus ZenFone Zoom for $179.99 with a free ZenPower 10,500mAh portable battery pack. That's a respectable savings of $170, with sales tax only applying to New York/New Jersey residents. 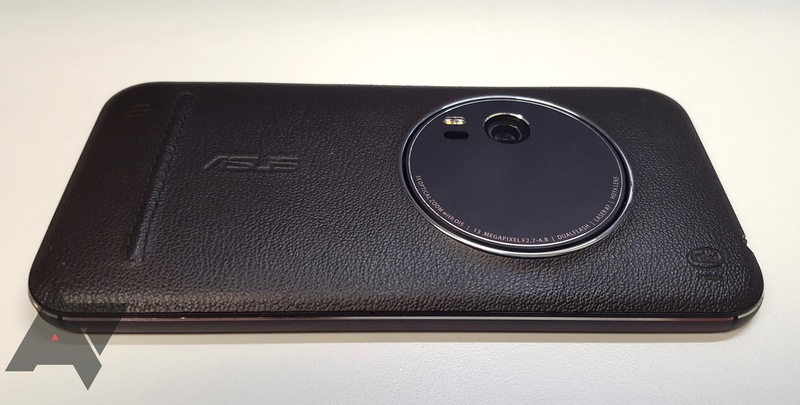 If you've forgotten about ASUS's ZenFone Zoom, I don't blame you. After it was announced in January 2015, it took over a year for it to be launched in the good ole US of A at a not-unreasonable price of $399. 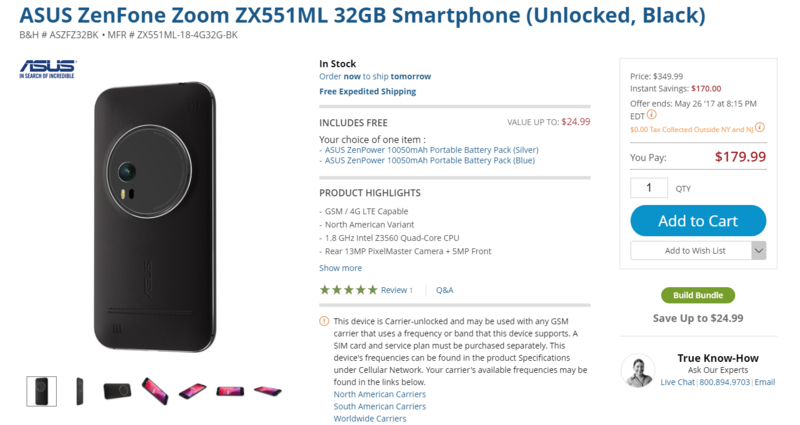 Now though, you can pick one up from B&H for $35 less than the MSRP and get a ZenWatch 2, a $50 B&H gift card, and a 10,050mAh battery thrown in at no extra cost. 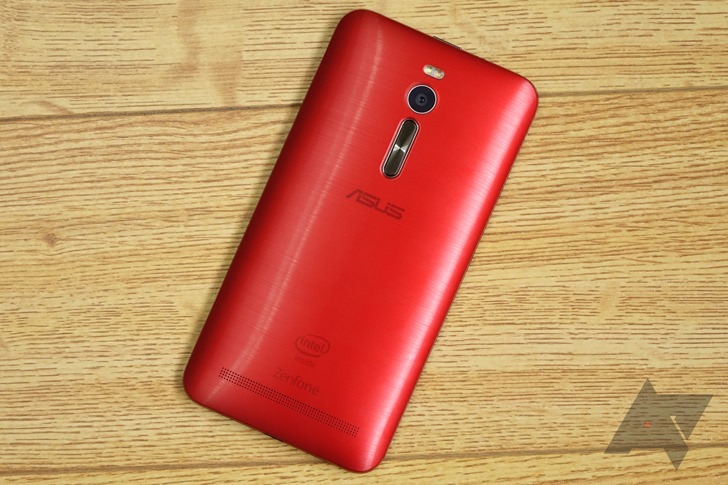 ASUS is working hard to meet its self-imposed deadline of upgrading several ZenFone devices to Marshmallow before the end of Q2 2016. We're technically in July and Q3 already, but we'll give the company a little leeway for almost-making it on time with these two new OTAs. After the ZenFone Max and a couple of variants of the ZenFone 2 Laser, ASUS is now starting to roll out Android 6.0 Marshmallow to the ZenFone Zoom (ZX551KL) and ZenFone Selfie (ZD551KL). The ZenFone Zoom is moving to firmware version 4.21.40.74 while the Zenfone Selfie is going up to 21.40.0.1692. Both devices are shedding a lot of preloaded apps (read: bloat) and gaining a couple of new apps from Google and/or Facebook. Owners of some of Asus' camera-oriented smartphones are getting a nice surprise today with the announcement of sizable OTA updates. The OS version isn't changing, but both the Zenfone Zoom and Zenfone Laser 2 are getting big updates with tweaks, new features, and bug fixes galore. Operating system updates don't come quickly in the Android world. They show up fashionably late, nevermind that parties where everyone looks forward to a new software release aren't the kind where people care how anyone is dressed. ASUS is now doing its users a solid. No, it's not pushing out over-the-air updates to all of its devices right this moment. But it is doing the next best thing, which is listing which phones will get the update. We at Android Police have looked at several ZenFones and the latest entry is the ZenFone Zoom, which is a characteristic mixture of uniqueness, ambition, value, and zaniness that we have seen before.